The following Terms of Sale (the “Terms of Sale”) apply to and govern your purchase of products on www.leatherman.com/de_DE (the “Website”). By purchasing a product on www.leatherman.com/de_DE, you acknowledge you have had an opportunity to read, and agree to, these Terms of Sale. Products shown on the Website are only intended to be sold in Germany. If you do not reside in Germany, we reserve the right not to sell products to you through this Website. If you have registered for a Website account, you may order products by logging in to your Website account. When you place a product in the shopping cart on the Website, you will be prompted to enter your Website account log-in information. From there, follow the instructions provided on screen to check out or purchase the product. Upon completion of the online order process, your purchase will be charged to you using the billing information you provided in connection with your Website account. You will subsequently receive acknowledgment of the order and/or a receipt by email to the email address associated with your Website account. If you do not have a Website account, you may purchase products as a guest, without logging in, by providing billing, shipping and related information as requested by Leatherman at the time of purchase. Each time you make a purchase in this manner, you must provide accurate contact information so you may be contacted regarding your purchase, if necessary, and you must agree to these Terms of Sale and any other applicable purchase terms set forth in the checkout process. Leatherman does not sell products to persons who have not reached the age of majority in the country where they live. You represent and warrant that you are at least eighteen (18) years of age if you are placing an order to purchase products; (ii) Leatherman’s acknowledgement of an order is not acceptance of an order and Leatherman may reject or cancel an order at any time; (iii) you must either have an existing account with Leatherman or provide a valid and authorized payment information and agree that Leatherman may charge the selected method of payment at the time of your transaction; (iv) you will pay all charges and losses incurred in connection with your purchase of products, including shipping fees; (v) you will pay all taxes; (vi) if Leatherman does not receive payment from your payment card issuer, you will pay all amounts due upon demand; (vii) you may not export purchases outside Germany. You acknowledge and agree that no employee, agent, dealer, or service provider is authorized to make any promise, representation or warranty with respect to these Terms of Sale or the products or to amend, modify or waive any of these Terms of Sale. We make conscientious efforts to display and describe the products available on the Website accurately and completely. However, the detail and accuracy of the images and specifications of products that you see on the Website will depend on a number of things, including your computer equipment and Internet connections. Consequently, we do not guarantee that the products, images, available features, services or specifications displayed or described to you on the Website are or will remain accurate or complete in every detail. Further, we may update the products, images, available features, services or specifications from time to time. The technical information, opinions, recommendations and other information made available on the Website, including commentary regarding particular products, are provided for convenience only and may not be relied upon as substitutes for thorough consultation with appropriately trained professionals familiar with your particular needs and circumstances. If you pay using Klarna Pay Later, your payment is processed by Klarna. If your Pay Later request is accepted, Klarna will send you an email with payment instructions once your order is shipped. Please see www.klarna.com for information. In order to be able to offer you Klarna’s payment options, we will pass to Klarna certain of your personal information, such as contact and order details, in order for Klarna to assess whether you qualify for their payment options and to tailor the payment options for you. General information on Klarna you can find here. Your personal data is handled in accordance with applicable data protection law and in accordance with the information in Klarna’s privacy statement. Product pricing and shipping costs will be as reflected on the Website. Prices posted on the Website and Leatherman’s billing policies are subject to change at any time without notice to you. Prices on the Website are in Euros for German purchasers only. All purchases are subject to applicable taxes to be paid by the purchaser, and prices do not include shipping and handling. Title (i.e., ownership) and risk of loss for all goods ordered pass to you when the goods are delivered to the carrier for shipment. 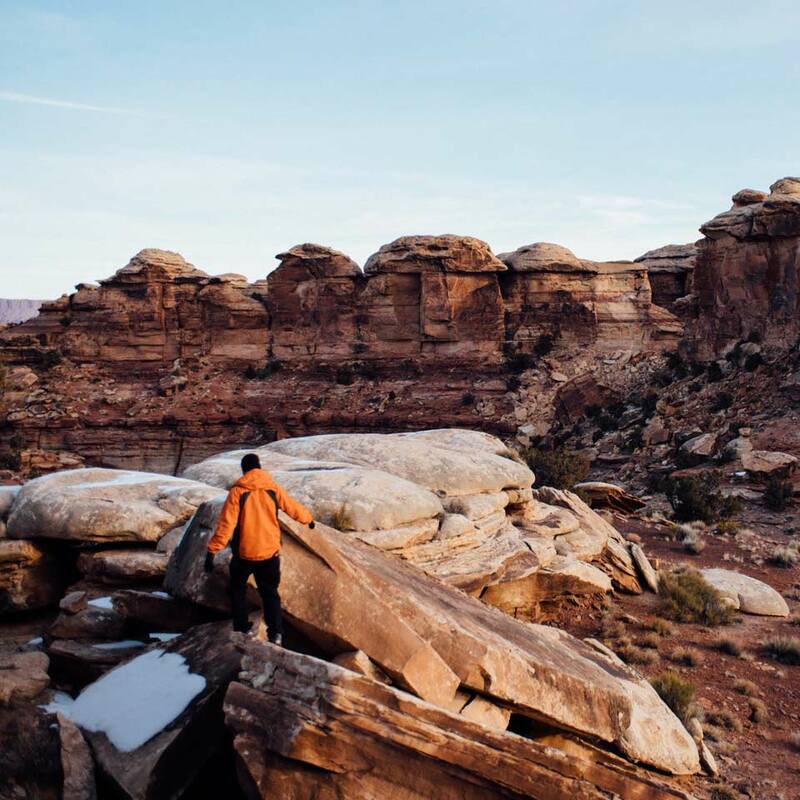 You acknowledge and agree there may be unintentional inaccuracies, omissions, or errors regarding price, offers, descriptions, promotions, availability, or other matters and except as provided by law, Leatherman will not be liable for these inaccuracies, omissions, or errors. 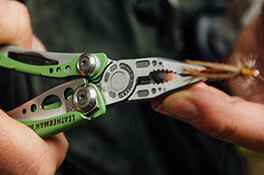 Leatherman will attempt to correct such inaccuracies, omissions, or errors when brought to its attention. Leatherman does not claim that the information on the Website is appropriate for or applicable to your jurisdiction or that the products described on the Website will be available for purchase in all jurisdictions. Any discounts or special offers available with your Website account will be automatically reflected with the purchase price in the shopping cart, once you log in using your Website account. Products ordered from the Website may be fulfilled by one or more of our subsidiary or affiliated entities. The appropriate Leatherman entity that fulfilled your order will be listed on your receipt. If your order is fulfilled by more than one entity, you will receive a receipt from each applicable entity for the products fulfilled by that entity. We make efforts to keep the Website and available inventory of products current and up to date. However, we cannot guarantee that any product listed on the Website will be in stock or remain available. Further, we may discontinue or otherwise cease offering a product at any time, in our sole discretion. In the event a product is not available at the time you place your order, we will send you a notice via email and cancel your order for the unavailable product. Unless you notify us to cancel your entire order, we will fulfill the balance of your order pursuant to our ordinary order fulfillment policies. We may, in our sole discretion, choose to cancel your order in certain circumstances. This may occur, for example, when the product you wish to purchase has been mispriced, when we suspect the request is fraudulent, or in other circumstances we deem appropriate. If you wish to return a product or change or cancel your order for any reason, you must contact Leatherman either directly by using the contact details provided on the Website or by using the contact form of the Website. If your request relates to a return, you must contact us in accordance with our return policies. Returns and refunds are subject to our Shipping & Returns Policies. which can be found at http://www.leatherman.com/shipping-returns.html. Warranty information regarding products may be found at http://www.leatherman.com/support-warranty.html. Leatherman’s liability for defective delivery in the form of product defects is excluded to the extent that such defects and any related damages cannot be shown to arise from defective materials, design, or manufacturing. In particular, all warranties and liability are excluded for the consequences of defective or improper use of the products, use of the products inconsistent with any operations manual, work or repairs on Leatherman products by third parties, or alterations or modifications to Leatherman products, to the extent that the product defect arises from any of the foregoing. This exclusion does not apply in the case of fraudulent, intentional, or grossly negligent conduct by Leatherman, in case of injury to the body, life, or health, in cases where a guarantee of freedom from defects or procurement risk under § 276 German Civil Code has been assumed, or where a statutory provision mandates liability. In other cases, warranty obligations are governed by applicable statutory provisions. You have the right to withdraw from a contract you conclude with us within fourteen days, without needing to provide any reason. The withdrawal period is fourteen days from the date on which you, or a third party indicated by you (other than the carrier), acquires physical possession of the goods. In the case of products ordered by you in a single order and delivered separately, the withdrawal period begins on the day on which you, or a third party indicated by you (other than the carrier), acquires physical possession of the last good. In cases where you have ordered items consisting of multiple lots or pieces, the withdrawal period begins on the day on which you, or a third party designated by you (other than the carrier), acquires physical possession of the last lot or piece. To exercise your right of withdrawal, you must inform us of your decision to withdraw from the contract by an unequivocal statement. Call us at +49 -210–56507–99 with your request of withdrawal. To meet the withdrawal deadline, it is sufficient for you to send your communication concerning your exercise of the right of withdrawal before the withdrawal period has expired. You shall send back the goods or hand them over to us without undue delay, and in any event not later than 14 days from the day on which you communicated your withdrawal from this Contract to us. The deadline is met if you send back the goods before the period of 14 days has expired. The right of withdrawal does not exist (and/or terminates) in the case of products (a) which are not suitable for return after they have been unsealed by you for health or hygiene reasons (e.g. underwear, swimwear, perfume, make-up), (b) which are made to your specifications or clearly personalized (e.g. customized or engraved products – please see above), or (c) which are, according to their nature, inseparably mixed with other items after delivery. In regards to any product you purchase from the Website, Leatherman’s liability is unlimited to the extent it arises from a fraudulent, intentional, or grossly negligent breach of duty by Leatherman or its lawful representatives or agents, in the event of an assumption of guarantee for the quality of the product, in the event of an assumption of procurement risk under § 276 German Civil Code, and for injury to the body, life, or health. Liability under the German Product Liability Law (Produkthaftungsgesetz) and other cases of mandatory statutory liability remain unaffected. Further, Leatherman is liable for the slightly negligent breach of material contractual obligations. Material contractual obligations are those whose breach impairs the achievement of the purpose of the contract, whose fulfillment enables the proper performance of the contract, and on whose compliance you as the customer regularly rely. However, in such a case Leatherman is liable only for foreseeable damages typical for the type of Contract involved. Leatherman is not liable for the slightly negligent breach of any obligation other than those specified in the foregoing sentences. The preceding terms do not result in a reversal of the burden of proof. You agree that these Terms of Sale, and any dispute between you and Leatherman that relates to these Terms of Sale shall be governed by the law of Dusseldorf, Germany, without regard to choice of law provisions or to the Convention on the International Sale of Goods (United Nations sales law), subject to any applicable mandatory provisions of law. Except where prohibited and without limitation to any statutory rights for consumers, you agree that all disputes, claims and legal proceedings directly or indirectly arising out of or relating to the Terms of Sale (including but not limited to the purchase of Leatherman products) shall be resolved individually, without resort to any form of class or collective action, and exclusively in the competent courts of [Ratingen, Germany. In case you have a complaint, please contact us in the first instance at [info-europe@leatherman.com] or 00 02102 56507 0. If you feel your complaint is not adequately addressed you can – but are not obliged to – use Online Dispute Resolution (ODR) available at http://ec.europa.eu/odr. Beyond the ODR, Leatherman does not participate in dispute resolution proceedings before consumer mediation bodies (Verbraucherschlichtungsstelle), and is not obligated to do so. If you have any questions or comments about the Website or these Terms of Sale, or in the unlikely event that you wish to make a complaint, please contact us at info-europe@leatherman.com or 00 02102 56507 0.